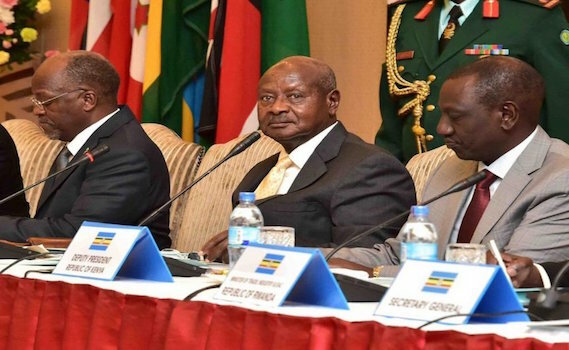 President Museveni today (Saturday) assumed the chair of the East African Community (EAC), amid an impassioned plea for East African integration. Museveni replaces Tanzania’s President John Pombe Magufuli as the new head of EAC. Speaking at the 18th Ordinary Summit of the of the Heads of State at Dar es Salaam State House minutes after assuming the seat, Museveni explained the three pillars for integration. “Integration is about three issues; prosperity, security and ‘ubuntu’ (brotherhood)”, the President said. Giving a synopsis of the origins of the East African Community, President Museveni praised Mwalimu Julius Nyerere for being steadfast in the push for regional unity even when his immediate post-colonial peers developed cold feet. “In 1963, Kenyatta (Jomo), Nyerere and Obote (Milton) met in Mbale, Uganda and declared there would be a political federation before the end of that year,” said President Museveni. He cited Mwalimu Nyerere’s decision to unite Tanganyika and Zanzibar in 1964 as evidence of commitment to unity and ultimately the region’s prosperity. “There was a revolution in Zanzibar and an opportunity offered itself. Nyerere and Karume formed Tanzania. It has survived all this time. Unity of Tanganyika and Zanzibar has given more opportunity of people the island to come to the mainland and vice versa,” he said. The president pointed out that Integration is important for prosperity and isn’t a luxury, illustrating his argument using the relationship between Kenya and Uganda when the latter’s economy collapsed in the 1970s. “When Amin took over, Uganda’s economy collapsed. All factories in Uganda collapsed and everything was coming from Kenya. For about 20 years, Kenya and Uganda’s economies were one. Nevertheless Kenya was selling within Kenya and in Uganda but it did not become modern,” said the President. Citing China, the President said even with their population of 1.3 billion people, their economy grew massively after they began trading with the outside world, explaining their rise to the second largest economy. About integrating for “undugu” (brotherhood), President Museveni noted that Africa had only four tribal groupings; the Niger-Congo, the Nilo-Saharan, the Afro-Asiatic and the Khoisan, which makes it easy to communicate. 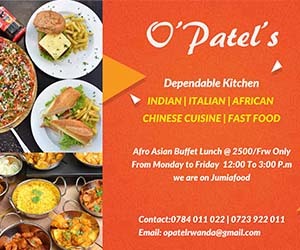 Pointing to words with similar semantic meaning in different Bantu languages of East Africa, the President said not only are the languages similar but the region has the advantage of Kiswahili, a non-tribal language. “How then can we fail to unite in order to guarantee our future?” he asked. In his closing remarks, President Museveni also informed the audience that the heads of state had tasked him to lead a regional delegation to Brussels, the seat of the European Union, to discuss the issues of the Economic Partnership Agreement (EPA) and sanctions on Burundi. “I want the EU to know that we are harmonizing our stand on EPA. In the meantime, we object to your threats to harm Kenya. I will lead a delegation to Brussels to stop the stampede,” he said. The President noted that part of the problem with the EPA was that the EU had placed sanctions on Burundi and yet still expected all countries in the region to sign the trade pacts. He condemned the bloc for placing sanctions on an East African country minus consulting the regional bloc (EAC), adding that the UN had nearly made a similar mistake recently by threatening sanctions on South Sudan. “You cannot come to my house when you are a neighbour and beat up my children without informing me and you say we are friends,” he said. One of the highlights of the summit was the swearing-in of top new officials; a deputy secretary general and a judge of the East African Court of Justice. Eng. Stephen Mulote of Tanzania was sworn in as a new deputy secretary general, replacing Dr Enos Bukuku who had served in the position for six years. Sworn in to take a place on the bench of the East African Court of Justice was Dr Charles Oyo Nyawelo of South Sudan, who joins the 1st Instant Division of the court. Dr Nyawelo has been the president of the High Court in Juba since 2006. The summit also recognized and rewarded students who excelled in the East African Secondary School Student Essay competition. Among the excelling students was Denis Mitala of Saint Mary’s College, Kisubi who emerged second best, scooping a cash prize of $1,200 and a certificate. The overall winner was Ilukwayo Titi from Burundi, while the others were Retina Gatesi (Rwanda), Alex Mbogo (Tanzania) and Murungi Daphne of Kenya. The summit also endorsed the transformation of the EAC into a Common Higher Education Area, setting the stage for harmonization of higher education in the region. The Executive Director of the Inter University Council, Prof Alexandre Lyambabje, said the initiative will grant equal education opportunities to all students across the region in terms of mobility and employability.